By the moment the “triangle” pattern has been broken downwards, we should expect the descending trend with the general target in the area of 1.32 to continue. 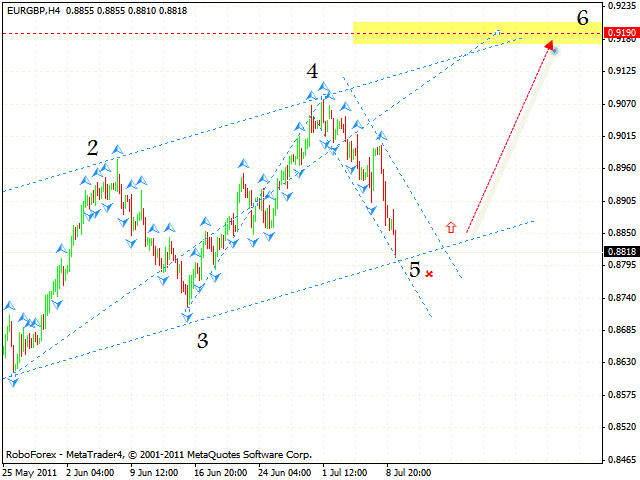 At the H1 chart of the pair we can see the formation of the descending symmetrical pattern with the target of 1.3840. 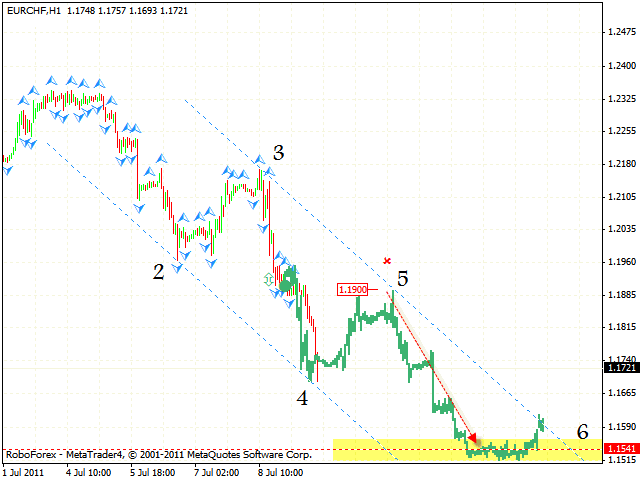 One can consider selling the EUR/USD currency pair near the descending channel’s upper border in the area of 1.4190. But if the price breaks the channel and leaves it, this case scenario will be cancelled. We may assume that in case of USD/CHF currency pair one can see “head & shoulders” reversal pattern forming with the final target in the area of 0.8796. One can try to buy the pair with the tight stop. If the price breaks local minimum in the area of 0.8270, this case scenario will be cancelled. One is recommended to increase the amount of long positions only after the price breaks the neckline and leaves the descending channel. In case of Australian Dollar we can see that “double top” reversal pattern with the final target in the area of 1.0552 is still being formed. 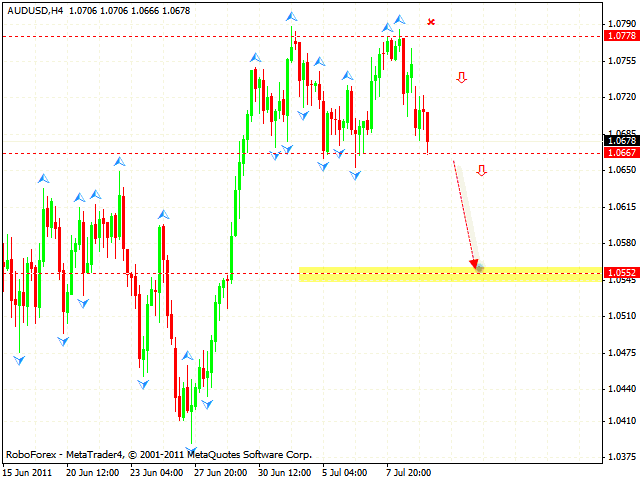 One can consider selling the pair after the price breaks the support level in the area of 1.0667. 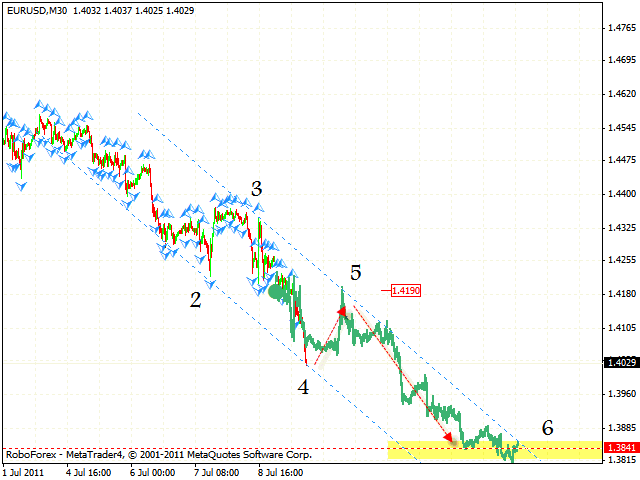 The stop must be above 1.0740. The pair has reached the area for sales. 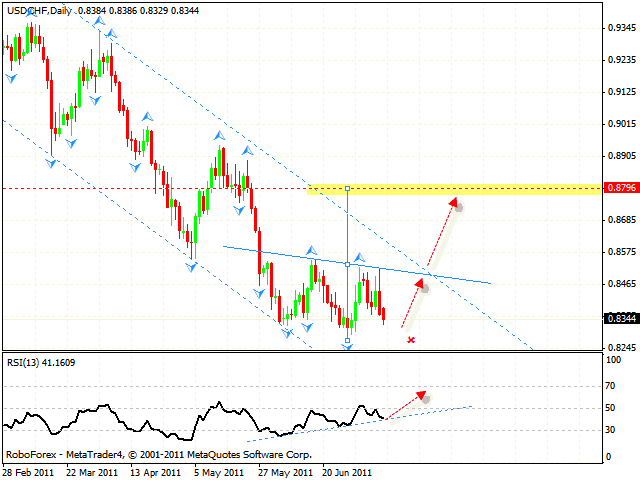 At the moment we should expect the price to grow with the target in the area of 0.9189. 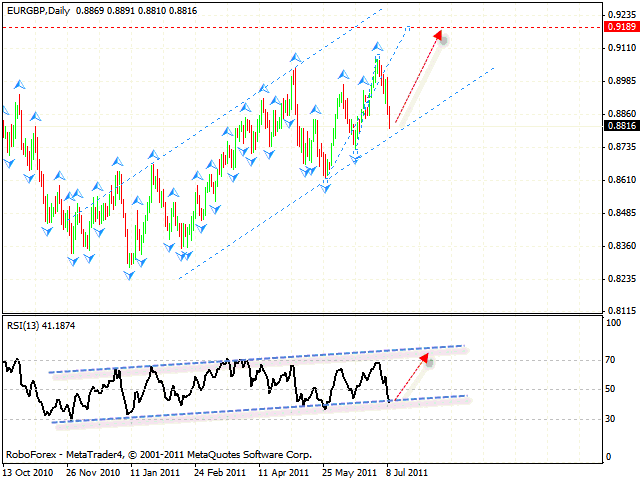 The RSI indicator testing the rising channel’s lower border is an additional signal. But if the price breaks the rising channel’s lower border at the price chart, this case scenario will be cancelled. At the H4 chart the price has tested the rising channel’s lower border, one can try to buy the pair aggressively with the stop below 0.8790. We recommend to buy more only after the price breaks the descending channel. At the H1 chart of the pair we can see the formation of the descending symmetrical pattern with the target in the area of 1.1540. At the moment we should expect the price to test the channel’s upper border in the area of 1.1900, where one can consider opening short positions. But if the price breaks the level of 1.1960, this case scenario will be cancelled.